Three very different shots with their own character. I love the last one specially. Can’t stop imagining how many different lives are being lived at the same time in such a place. The second one is my favorite, how did you get such a shining old car in front of that background? did you ask him to park there? Great shots. What was the shutter speed on the night shot? we were sitting at a restaurant opposite and halfway through our meal the car drove up and parked… so I took a photo. The night shot, i have no idea the exposure, but it was handheld, so no longer than 15th of a second, i guess. dont remember, sorry. thanks for commenting! Very impressive night view ! Well done ! Very lovely, thank you for sharing! I like all your pictures, but the last one really stands out 🙂 Beautiful! That mirror shot is a terrific idea for a portrait. Thank you for sharing. As a Capetonian now living in Beijing, your lovely photos made me feel really homesick. I love the first shot, It was very subliminal, perhaps they’re father and son. Pretty much all I know of Cape Town is what I saw during the World Cup last summer. Seeing you’re night view photo with the ocean is the background, as now put it on my list of places I want to see. 2nd pic is like wow, crystal clear. Beautiful pictures. The evening shot is particularly lovely! Those are wonderful. I love the composition, especially in the first. And the old car and colors in the second are very cool. Congrats on being Freshly Pressed. Really cool shots, I just love the nighttime one. Thanks for sharing! Beautiful. 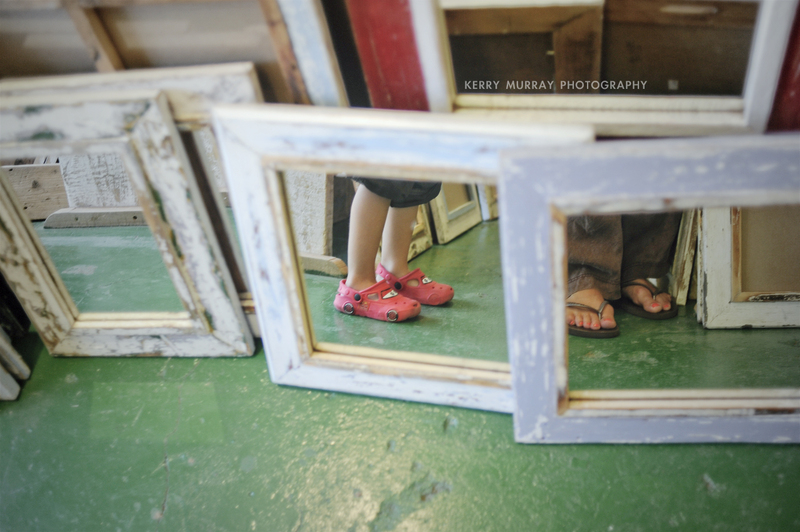 I love the child’s red shoes framed in the mirror in the first shot. Very nice pictures! I need to get back into posting more of mine. The full moon rise looks like lava overtaking the town. What a cool place – I’ve always wanted to visit! Hopefully I’ll get to go there one day! 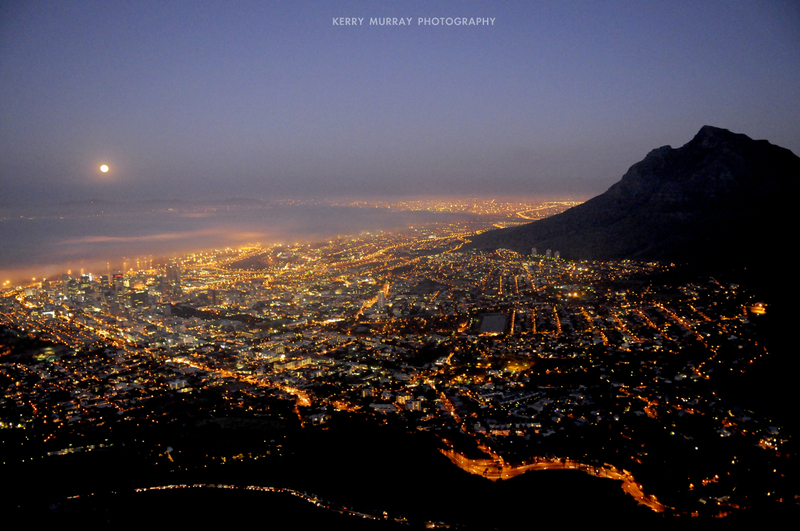 I love the night view of Cape Town and how you have caught the moon in the image. Wow! Nice shots! Somehow, I did not imagine Cape Town to look like…. well, England…lol!!! (except for the last shot that is). The third picture looks like a technological volcano has gone off spewing techno lava through the towns streets. Love it. From this amateur photographer – well done and thank you for sharing! Great photos, what kind of camera do you use? 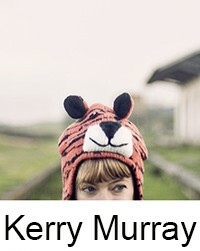 I love your style of photography! great photography! thanks for sharing! I have to agree with the person who now lives in Beijing – I’m also a Capetonian and very homesick at that! You portray my home town very beautifully – thank you! I’m currently living in Portugal, so i know how you feel… no place like home! Lovely combination of interesting varied pictures from a great place to visit. Beautiful photos. And you’re right, Cape Town is a must, it’s absolutely gorgeous. Tough to take a bad picture of the place. I am still in awe of the pictures I took from of and from Table Mountain, even if I took them with the oldest digital camera known to man. your photos are great, and i’m glad you had a good time! i love the vintage look of the frames in the first photo. Definitely a woman’s feet! Nice car shot and a beautiful moon rise! Congrats on being FP! If I ever have to return to South Africa, I’m definitely going to stay in Cape Town. Nice photos! Like your perspective, and love the full moon rising! Great pics……but the first one is really nice one….i luv dat one..
wwohoo.. love your shots! Especially the last one! I love the last photo! 🙂 Keep it up! Nice photos! I particularly like the top two…. a neat perspective in the first one with people’s feet seen in mirrors. 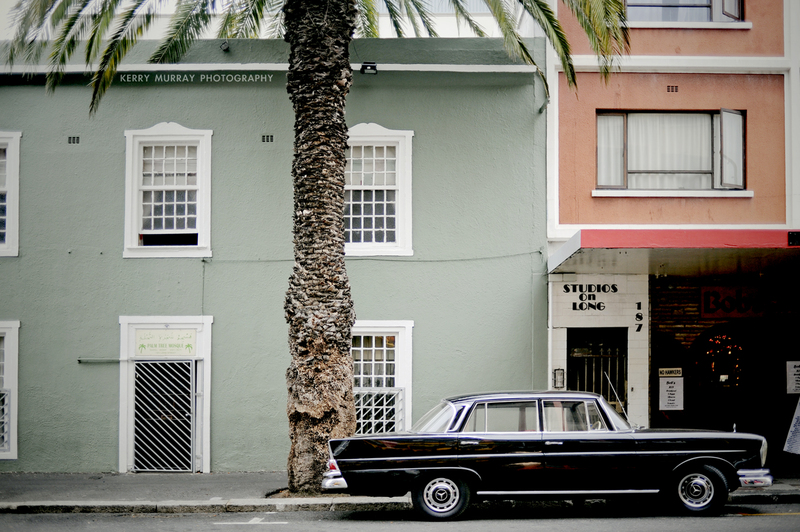 And the second one has a cool look to it… soft colors of the buildings contrasting with the black car, and the lines of the windows, tree, and car. Thanks for posting these! Absolutely stunning! What more can I say? I really love the shot with the mirrors, beautiful! Beautiful! Especially the second one, it makes me want to go there and see it through my own eyes!